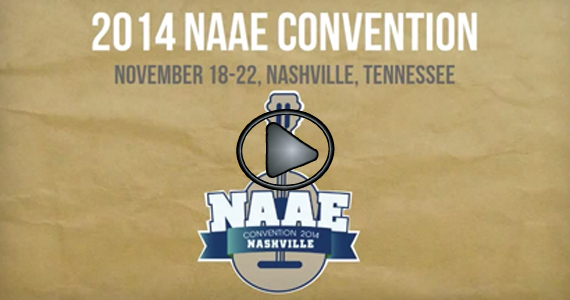 The 2014 NAAE convention is now over and looking back on it, all I can say is, "Wow what a convention!" Professional development, business sessions, and committee meetings gave our members the opportunity to enhance their knowledge in a variety of agricultural areas and work at improving our organization. Did you Miss Convention? Watch our 60-second wrap-up. Click the image above for a quick overview of the great things that happened at NAAE convention this year. In an effort to improve the way NAAE committees work and make the most of the time and expertise of those who volunteer to serve on committees, the NAAE board recently approved a proposal to change the committee structure and process. Meet the 2014-2015 NAAE Board! 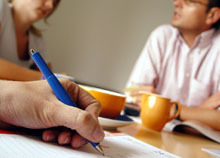 Members elected a president, president-elect, two new regional vice-presidents and two new secretaries. Follow this link to see who our 2014-15 leaders are and read more about each of our newly elected officers. The National Teach Ag Campaign is grateful for all the individuals and groups that make the Teach Ag message resonate across the country. This year the National Teach Ag Campaign recognized three individuals and one group as Teach Ag Champions. 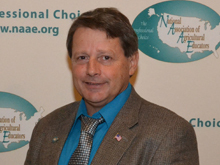 Congratulations to 2014 NAAE Award Recipients & Program Participants! Click on the images below to read more about each award and program, read news releases, and see pictures of the award winners. Printed Your Membership Card Yet? Here's how.